Introduction to Nucleonica: Core Applications and Case Studies, DG ENER Luxembourg, 16-17 June 2015. This 2-day training course took place at the offices of the European Commission’s DG ENER in Luxembourg during the 16-17 June 2015. This was an intermediate level training course which focused mainly on the Nucleonica core applications and Case Studies. 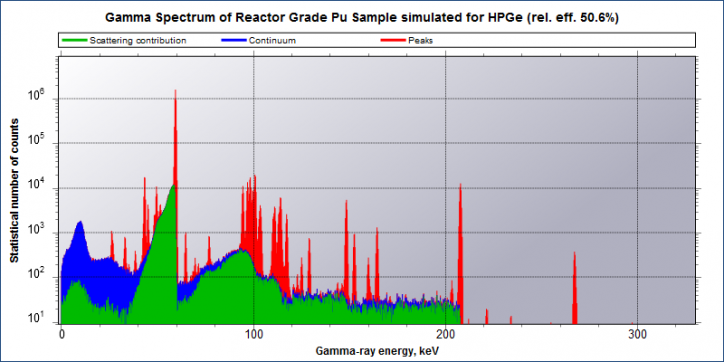 A detailed description of nuclear data with particular reference to the various Nucleonica nuclear databases was given. Core applications were demonstrated through the use of Nucleonica applications such as the Mass Activity Converter, Nuclide Mixtures, Decay Engine++, and Dosimetry and Shielding++. Special focus of the training course was on the generation of gamma spectra (using Nucleonica’s Gamma Spectrum Generator) and the interpretation of measured spectra using WESPA (Web Spectrum Analyser). DG ENER participants were from the safeguards and radiation protection departments. Speakers were Dr. J. Magill and Mr. R. Dreher from the Nucleonica team. 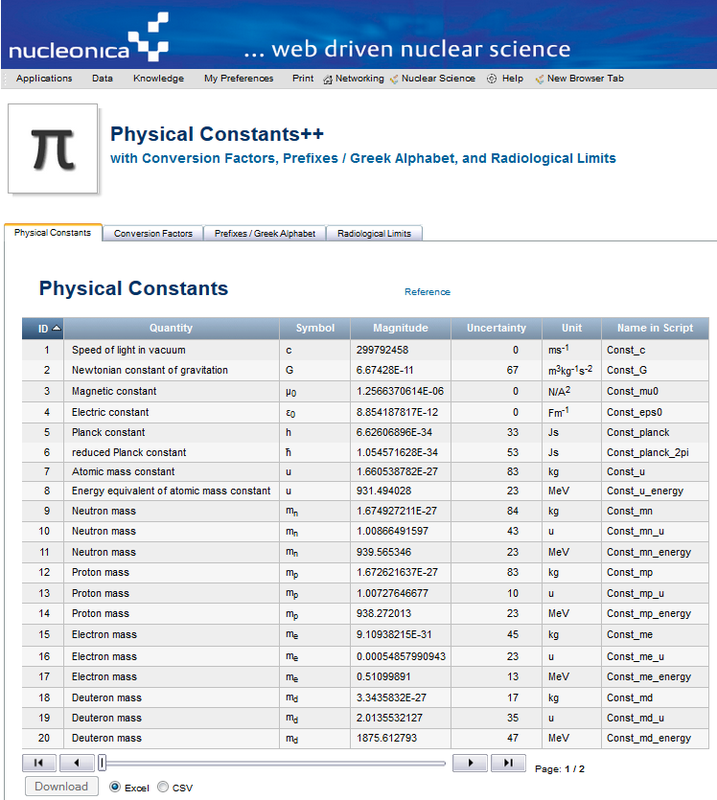 Nucleonica’s data page on Physical Constants, Conversion Factors, Prefixes / Greek Alphabet, and Radiological Limits, has been updated. The new application – Physical Constants++ – has been improved regarding design and user friendliness. These pages are updated regularly to provide Nucleonica users with the latest values of the physical constants, conversion factors, etc. Information on the data sources are given in the wiki help.